We’d love your help. Let us know what’s wrong with this preview of Vaudeville by Greg Chapman. Young Anthony Moore is desperate to discover the truth about his father’s death. In Keaton Woods, the truth is waiting for him, held by vengeful demons. “The All-American Travelling Troubadours” have a dark story to perform – all they need is an audience of four young souls. Anthony is about to discover just what he is willing to sacrifice in order to seek answers. Vaudevi Young Anthony Moore is desperate to discover the truth about his father’s death. In Keaton Woods, the truth is waiting for him, held by vengeful demons. “The All-American Travelling Troubadours” have a dark story to perform – all they need is an audience of four young souls. Anthony is about to discover just what he is willing to sacrifice in order to seek answers. To ask other readers questions about Vaudeville, please sign up. Vaudeville and Other Nightmares is a collection of short stories from Australian author Greg Chapman. The introduction by Brett McBean sets the scene for what you are about to delve into with an in-depth tale of Greg's journey in the world of literature specialising in horror. There were a couple that I thought could easily be turned into full-length novels, two stories, in particular, are A Matter of Perception and Mother's House. All the stories have one thing in common, they bring the reader into a world beyond their own and leave you feeling just that little bit different once the tale has been told. Vaudeville has that evil carnival vibe, reminiscent of Bradbury's Something Wicked This Way Comes and is just one of 24 stories which will reach out and grab you and won't let go until you've read the last word on the final page. I thoroughly enjoyed reading this book. This book is a compilation of short horror stories. Chapman gives the reader a diverse range of interesting, compelling and quite gruesome short stories. Short stories take work to capture the reader and Chapman connects the reader with the MC, in a short space of time, with ease; which shows he has a wide reaching and diverse talent, worthy of five stars in itself. This compilation came together with the same ease, to me as a reader, as Roald Dahl's tales I thoroughly enjoyed reading this book. This book is a compilation of short horror stories. Chapman gives the reader a diverse range of interesting, compelling and quite gruesome short stories. This compilation came together with the same ease, to me as a reader, as Roald Dahl's tales of the unexpected. Which I must note, I thoroughly enjoyed. There were a few I would have liked to have kept reading and seen developed more; simply because I'm a selfish reader and I want more in some stories! These stories are and notable mentions for me were Vaudeville, Lost Lake, Mother's House, Cult of Scars and my favourite of the book - The Name in the Dark. I look forward to the next book from Greg Chapman. Greg Chapman’s book of short stories is like comfort food for the horror reader. They’re just fun tales that’ll satisfy the appetite for a scare here and a shudder there with an occasional ewww. The twenty-four short stories cover a vast area of chartered and unchartered territories. Some of my favorites were The Name in the Dark ~ a retelling of a children’s fairly tale (but done nicely in the Greg Chapman voice), Chthonic ~ puts a delightful chilling spin on juvenile hall, Transe ~ I’m not goi Greg Chapman’s book of short stories is like comfort food for the horror reader. They’re just fun tales that’ll satisfy the appetite for a scare here and a shudder there with an occasional ewww. The twenty-four short stories cover a vast area of chartered and unchartered territories. Some of my favorites were The Name in the Dark ~ a retelling of a children’s fairly tale (but done nicely in the Greg Chapman voice), Chthonic ~ puts a delightful chilling spin on juvenile hall, Transe ~ I’m not going to give anything away, but it was very creative. I started a number of these stories thinking this reminds me of a Twilight Zone episode, or this reminds me of a Stephen King story, but they quickly veered off the I’ve seen this, or read this before into originality and twisted pathways that left my hunger for something new quite sated. Although there were a few typos, and Mr. Chapman is fond of using clichés, there weren’t enough of either to keep me from highly recommending this book. I've been reading horror for a long time. When you read one genre long enough you see certain ideas done over and over again and you run across some bad stories. It seems like every time I start to get tired of reading horror, an author comes along that reminds me why I love this genre. 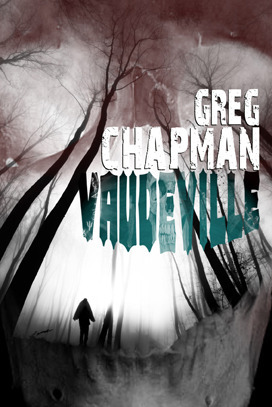 Vaudeville by Greg Chapman is a horror novella that will have you screaming for more. Anthony Moore is a lonely kid, his father hung himself in the woods a year ago and Anthony's whole world fell apart. Kids at sc I've been reading horror for a long time. When you read one genre long enough you see certain ideas done over and over again and you run across some bad stories. It seems like every time I start to get tired of reading horror, an author comes along that reminds me why I love this genre. Vaudeville by Greg Chapman is a horror novella that will have you screaming for more. Anthony Moore is a lonely kid, his father hung himself in the woods a year ago and Anthony's whole world fell apart. Kids at school don't talk to him, his mother has become an alcoholic and all the townspeople look at him with pity. One day when he is visiting the place where his father killed himself, he is approached by four demons out for vengeance. They call themselves The All-American Traveling Troubadours and they have a disturbing tale to tell. They also know what really happened to Anthony's father. The Troubadours haven't performed since The Civil War, but they're looking to do one last show. The price for the show and in order to get his dad back, Anthony has to bring them four young souls. Vaudeville is a great horror story that touches on themes of sorrow, alienation and loss. Greg Chapman does an excellent job of making every character in this story sympathetic, even the demons. Even though they demonstrate how evil they are, you feel sorry for them when you hear the tale of how they got became what they are. I also liked how Anthony's mother was portrayed, she is a person at conflict with herself and I liked the changes she went through at the end. Greg really brought the scenes and settings to life. The way everything is described was like a painting and I felt like I was in the middle of it. The action scenes were great, the characters are deep and there are some frightening moments. My only complaint was that I wish it was longer.I'm a big fan of stories that have traveling shows in them and Vaudeville did not disappoint. Greg Chapman's writing explores the shadowy area between reality and fantasy; body and soul. This novella finds him building upon his writing style and usual subject matter in a logical way. It also shows his ability to create believable characters, especially with regards to the mother and son. However, I did find them a little less believable as the story progressed - but that was probably because the story took the dramatic leap from realism into fanstasy. This story is perfect for fans of fantastic tales with a touch of horror and, even though the subject matter is dark, the story is spritely and enjoyable to read. The forest itself, as well as the clothes and mannerisms of the performers were well-described and Burtonesque in nature. It felt as though I too were there in the woods, watching the show! Excellent collection with some memorable lines and strong writing. Very interesting and diverse range of stories with a great feel to them--the author has a clear voice and there's a tone threading throughout that renders each story effective. Definitely reminded me of Bradbury's "Something Wicked This Way Comes." "Forfeit" was a favorite if you're looking for a tale to creep you out--and the first line in "A Matter of Perception" was perfect: "She was cold, white, and still." I look forward to Excellent collection with some memorable lines and strong writing. Very interesting and diverse range of stories with a great feel to them--the author has a clear voice and there's a tone threading throughout that renders each story effective. Definitely reminded me of Bradbury's "Something Wicked This Way Comes." This book is very good.I read a lot of horror and I lovec it. Greg Chapman - remember that name because when his books start hitting the New York Times bestseller list, you want to be able to say you were reading his work before it became popular. If you haven't read anything by Greg, then you haven't been paying attention to my reviews - or you're just not a true fan of the horror genre. Greg is a Bram Stoker Award winning author and artist from Australia. He's published numerous short stories, some novellas, and a graphic novel (jointly with two other ver Greg Chapman - remember that name because when his books start hitting the New York Times bestseller list, you want to be able to say you were reading his work before it became popular. If you haven't read anything by Greg, then you haven't been paying attention to my reviews - or you're just not a true fan of the horror genre. Greg is a Bram Stoker Award winning author and artist from Australia. He's published numerous short stories, some novellas, and a graphic novel (jointly with two other very talented people - Rocky Wood and Lisa Morton). To date, I've read about 95% of what he has published, and I haven't been let down yet. I'm anxiously awaiting delivery of his newest venture - The Blood Curdling Colouring Book. Vaudeville and Other Nightmares is a dark and sinister trek through one of the most talented minds to come out of the last 5 years. Here is the breakdown of the stories - keep in mind that some were too short to give an accurate review without spoilers. Vaudeville - Greg starts the ball rolling with an interesting novella. Anthony is a young man who is trying to deal with the suicide of his father. While coming back from the store, he gets sidetracked by a group of vaudeville performers who are not what they outwardly appear. In exchange for their ability to bring back his father, Anthony is to bring four of his friends to see their performance. As I was reading this story, I kept thinking about Something Wicked This Way Comes. I loved the backstory of the American Civil War - it made the perfect setup for the conclusion of the story. Lost Lake - this is every parents worst nightmare. A lone child skating on thin ice (pun intended) and a predator who gets a run in with Karma. Human Resources - what happens when you are a little too perfect for the job? You become an important part of upper management - with your whole heart and mind. Be careful of what you hope for when going in for a job interview, you might just get it. Deluge - one major theme that seems to run through a lot of Greg's stories is Armageddon, or the destruction of the world. This is one such story, where they skies open up and drop a deluge of "stuff" upon the residents of a small town. It wasn't until they realized just what the "stuff" was that they start to understand what's in store for them. Indebted - this was a very interesting take on the old theme, "You make a deal with the devil, the devil must get paid." Gorun is a funeral director who would do anything to say his wife and child - and now he must steal from the dead to pay his debt. Like Windows to the Soul - peeping-toms, they've been around since the dawn of time. But what happens when the watcher becomes the watched? Or better still (in the words of Greg), "Who Watches the Watcher?" A Host to Horror - this one was one of my favorites. If you're as old as I am, you grew up watching the old horror shows that were always hosted by some local guy dressed as Dracula or some-such-thing. What happens when that persona takes over one's psyche? The result can be deadly. Only Son - a superb tale of a man and his inability to cope with the loss of his son. Chilling. Mother’s House - another running theme among a lot of Greg's stories is the mental breakdown a person experiences after trauma. This novella tells the story of a young man haunted by the ghost of his dead mother who disapproves of his new girlfriend. Or is he? You decide. I do have to say, I am extremely envious of Clark's (the protagonist) library as Greg described it. Chthonic - this was an odd story that reminded me of Clive Barker's early work. It was dark and gruesome, and I had no idea where the story was going to end up. Lucius is a bad seed; a very, very, bad seed. He is sent to "prison" for burying his friend alive, but cannot explain why he did it. Maybe the Devil made him do it? Forfeit - again, another story reminiscent of Clive Barker. This one wasn't so much horror as more the fantasy. Greg inserts a lot of religious elements into his stories, and this one tackles the age old question, "What happens to you if you commit suicide?" Is it a one way ticket to hell? Can you be forgiven and still enter heaven? Or do you forfeit your soul and something more horrible awaits. Chilling right to the end. Transe - Simon just turned 15 and woke up on his birthday to a world with no sun, and everyone in a state of deep sleep - that he cannot wake. He sets out to find help, and meets a being names Reverie who tells him she needs his help defeating the Umbra - a race of beings hell bent on destroying her world, and now his. They head to the only place of light in the city, the library, and there he finds a book that will change his life. The ending will hit you like a piano dropped from the tenth-floor window. The Fear Centre - what if your nightmares weren't just your brain blowing off steam and resetting itself? What if there was a sinister plot behind them, controlled by monsters that feed off fear? The theme has been used before, but not nearly as refined. The Cult of Scars - I believe in always writing honest reviews. That being said, this would be my least favorite of the lot, there was just something that didn't strike me about it. Melanie is a cutter who looks for help from a group for cutters. Instead of finding help, she finds something a lot worse. Everlasting - I'm a sucker for a good Djinn story; and this was a good one. Greg takes the genie mythos, gives it hierarchy and class, and weaves a tale of forbidden love, fratricide, and abandonment. 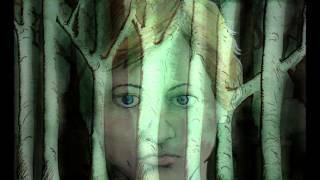 The Name in the Dark - an updated telling of a very old fairy tale. Do you know the imp's name? The Beat of Intention - here was another story that couldn't get into. It was very short, therefore I can't say much about it other than it took a lot of heart. A Matter of Perception - this was an interesting story that I could actually see being made into a TV show. Tobias is, for lack of a better term, a magician - not an illusionist, but one that actually has magical powers. He is part of a group of policemen that use their skills to solve crimes, as well as enforce the laws meant to keep others like him in check. Upon solving one crime, he finds a way to illegally keep his wife from dying. Precious Blood - here we have another, very religious story, about the saving power of the Blood of Christ. Having grown up Catholic, this story struck a nerve, since I thought the same things. First, does the wine truly turn to blood, or is it actually just symbolic? If it does turn to blood, can it forgive even the most heinous crimes? And what would happen should a vampire drink the blood of Christ? Father Malloy soon finds out. The Breadth of an Instant - they say that time heals all wounds - but is that true? A man has a unique gift - being able to repair timepieces of all kinds. After losing the love of his life, he starts to hate time and tries to destroy it. The consequences are dire, as the true timekeepers curse him for trowing away the gift they bestowed. Patrick Oswald Edwards - my favorite of the lot. All I have to say is that this was a great homage to a master. The subtle, and not so subtle, references were awesome. Look at the initials for a hint. Baptism - Marie is a victim of spouse abuse. She thinks that suicide is the only escape. Turns out she was wrong, and is able to enact her revenge in the best way possible. Christmas Mourning - talk about a dark story. Nicholas, like every kid, is determined to catch Santa in the act. Instead, he finds a man in his living room who proceeds to tell him how Santa is not the generous soul everyone believes him to be and that he is here to spread the word - all because he never received a present from Santa. There are going to be a lot of horrified children when they open up their special presents from the ragman instead. Codex Musaicum - another novel take on an often used theme. Leslie's father is a well known writer who abandoned her for his work. She hates him for it and they haven't spoken for many, many years. Until a lawyer shows up with a letter from her father who is now missing. He asks that she destroy all of his work - something she's wanted to do for a long time. However, when she arrives at her father's apartment, she finds his muse - in the form of a demon who now forces her to write, as he forced her father. The story within the story - The Courtyard of the Old Residency in Munich - was just as interesting. Very few people know that Adolf Hitler wanted to be a painter, and according to some, was fairly good at it. This story is about his early days as a painter. In a short time, Greg Chapman has become a master of the horror novella. In the last two years, I've read the ghost story Torment, a wonderful tale of a demonic muse in The Noctuary, and now, his third novella Vaudeville. The later work published by Australia's Dark Prints Press. All three, wonderful examples of the genre. I think the reason I like his work so much is that Chapman writes the TRUTH and writes it with passion. I know, this is horror fiction and fiction is made up, LIES by definitio In a short time, Greg Chapman has become a master of the horror novella. In the last two years, I've read the ghost story Torment, a wonderful tale of a demonic muse in The Noctuary, and now, his third novella Vaudeville. The later work published by Australia's Dark Prints Press. All three, wonderful examples of the genre. I think the reason I like his work so much is that Chapman writes the TRUTH and writes it with passion. I know, this is horror fiction and fiction is made up, LIES by definition, but when I'm reading one of Greg's novellas, it doesn't read like something that's been made up. It reads like, well like the TRUTH, even when it's about ghosts, demonic muses or, in this case, a group of troubadours; performers, if you will. troubadours with with a dark, disturbing past. I've always loved the evil carnival story, the best being Ray Bradbury's, Something Wicked This Way Comes, so when I saw the premise of Vaudeville I was eager too see what Chapman would come up with. Let me tell you now, he does not disappoint. First there's the town of Keaton, home to just under 1,000 citizens. A town which reminded me a bit of Mayberry and there's young Anthony Moore, who seems a bit like Opie Taylor, but that's where the similarities end. It was a year ago that Anthony's father was found hanging from an oak tree in the woods outside of town. It's at this very tree that Anthony meets these performers and things get interesting, so very interesting. This piece had a great opening third - the character development was very good, and the interaction was both believable and helped throw the story forward. The set-up was there, but it concerned me that the pay-off wasn't going to live up to what had gone before. If I'm being brutally honest - and perhaps a little picky - I do think it lost some of its impetus once the story left the relative light and safety of the town, and turned towards the woods; although having said that, the Vaudevillians This piece had a great opening third - the character development was very good, and the interaction was both believable and helped throw the story forward. The set-up was there, but it concerned me that the pay-off wasn't going to live up to what had gone before. If I'm being brutally honest - and perhaps a little picky - I do think it lost some of its impetus once the story left the relative light and safety of the town, and turned towards the woods; although having said that, the Vaudevillians themselves were excellent figures of menace. They were very well constructed, added a great splash of colour to the browns and blacks of the woods, and - for want of a better phrase - were nicely fleshed out too. Believable old-school villains. I won't give away too much of the plot, but I felt the Confederate detail in the final third - although well done and peppered with some fine detail - was somewhat overwhelming at times, and perhaps the story could have been lengthened a couple of thousand words to help the pacing. I know it wasn't a lack of ideas because you squeezed a lot of information into that last reel, but it almost felt like you had a word limit you were trying to pull it in under. Anthony is drawn to the forest where his father's lifeless body had been found hanging a year earlier. He encounters there the spirits of performers from a Civil War era travelling show and they have a dark secret and a darker need for souls to sustain themselves. I enjoyed the story and the haunting imagery of the travelling show. But, I thought the climax came on too quickly almost to the point of being anti-climactic. The battle between the story's hero and the vengeful performers seemed rushe Anthony is drawn to the forest where his father's lifeless body had been found hanging a year earlier. He encounters there the spirits of performers from a Civil War era travelling show and they have a dark secret and a darker need for souls to sustain themselves. I enjoyed the story and the haunting imagery of the travelling show. But, I thought the climax came on too quickly almost to the point of being anti-climactic. The battle between the story's hero and the vengeful performers seemed rushed and incomplete. Aurealis Awards entry. Review to be added after the awards.